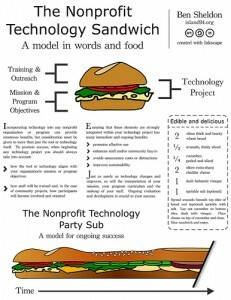 In my last blog post, I said I would write about funding for technology for nonprofits – and so here it is. 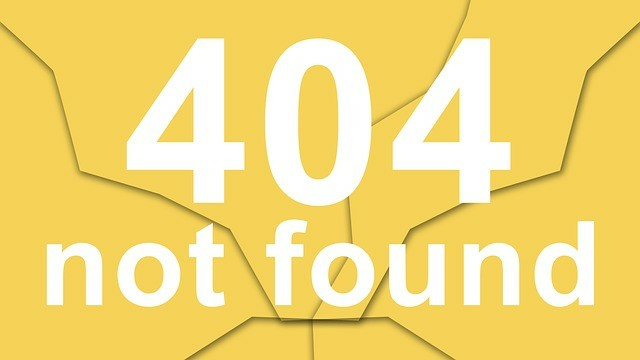 The perfect example of a technology funding request error is requesting funding for hardware and software but not for training or ongoing maintenance. I know a number of small nonprofits who purchased Raiser’s Edge but did not go to the training. Their money would have been much better spent buying something like GiftWorks plus their full training package for a much lower price. If you don’t need or have any idea on how to use all the bells and whistles, then you may be better off with a more modest product that will meet your needs and you can learn to navigate easily. I’ve also recommended to some organizations that a web-based service like eTapestry may best suit their particular needs, but they thought they had to ask for funding to buy software rather than say five year funding for a license. 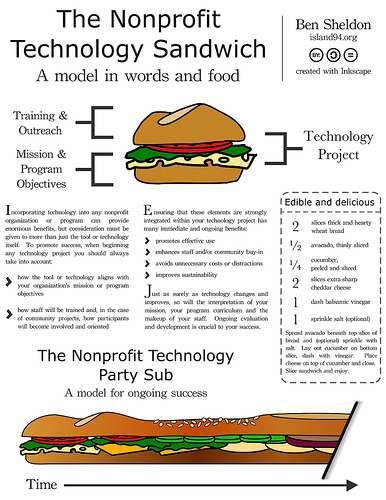 I think that funders are getting smarter about technology “fit” for nonprofits and they may not look kindly on technology funding requests that they don’t think are a good fit for your organization. Make sure you are doing your homework, getting knowledgeable technology advice and checking out resources like Idealware and Techsoup . These resources have detailed articles that will help you assess what’s best for you and you can work that knowledge analysis into your request. If you look at your successful grants they were probably the ones most closely connected to your mission and what you are good at. Did you address sustainability and did you take the time to choose the right funders? Well, if all of those things were part of the recipe for your success with other grants, make sure they are in your technology grant requests too. Don’t just ask for funding for new computers because your old ones are old. What will new computers enable you to do that you aren’t doing or do well now? Will you be using your computers to deliver better, more timely services or serving more people? Does software that you want to implement for better customer service require more capacity than the computers you now have? Funders will respond to your objective to provide better customer service. New computer/software systems that increase customer access, privacy and support should be presented in relationship to your mission rather than addressed merely from an administrative point of view. Will systems that track information enable you to do better program evaluations and receive/analyze customer feedback? These are results that funders are interested in supporting. Make sure you address ongoing technical maintenance/support, computer/network security and training in your request. All of these can be tied to the quality of your service. Your plan for sustaining the value of the initial investment will make for a stronger proposal. If your request involves website development or development of a social networking presence you can tie this to fundraising capacity and communication. Certainly communicating about your mission is tied to your mission. If you are preparing a program proposal and it will involve additional staffing, make sure that you embed your technology requirements for new staff in the proposal – and don’t forget training! Increasing your technology capacity IS capacity building. If you know a funder that has capacity building for things like vehicles, buildings and equipment as part of their charter, then they may be a candidate for this proposal. I hope this article provides some ideas to help you put together the strongest proposal possible. Please share your success stories with us and let us know what works for you.